Light up your living space with the futuristic small Antares chandelier. The twelve unusually exposed bulbs form a star-like lighting masterpiece, interjected with multiple glass orbs which extend from the framework. Elevate your interior to the next level with this glamorous lighting feature. The exquisite framework is available in a stunning nickel or gold finish for the ultimate metallic interior accent. 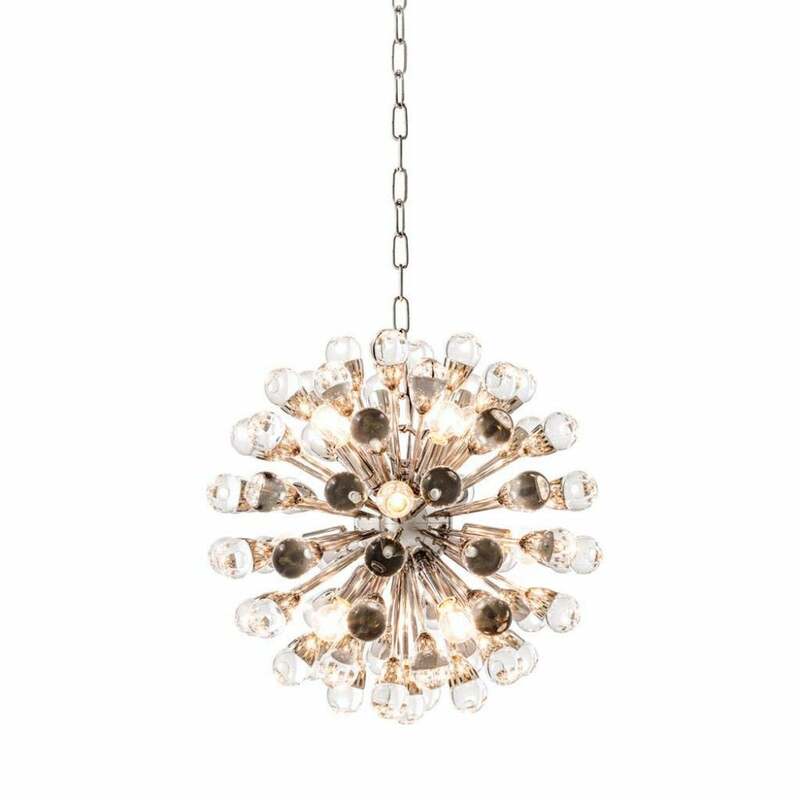 Add the Antares chandelier to your living room for a glamorous finish. Style in a narrow hallway to bring light to small, dark spaces.